I am considering having one of my desks raised to standing height. 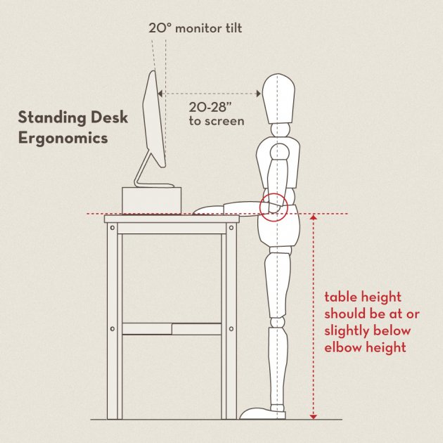 Are there similarly standard guidelines for how to set up a standing office work environment? 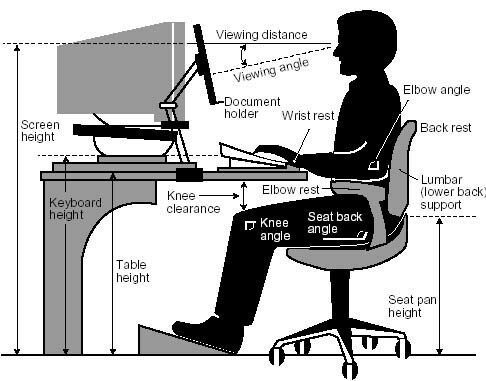 Here are the guidelines from OSHA for both sitting and standing desks. I recently purchased the Ikea Sit and Stand desk. It has been the solution I was looking for for a long time. You may want to give that one a shot. I got the electric one, which runs just under $500, but they also have a manual (with a lever), that pretty much does the same thing. I highly encourage anyone wanting to have the sitting and standing options on the same desk to give this desk a shot. They gave me (not sure if this is standard) a 90 day refund no questions asked guarantee, so it is worth a shot. Not the answer you're looking for? Browse other questions tagged posture skeleton or ask your own question. Skinny but flabby, what to do?